The most common form of matched funding is asking your manager, boss or company to match the fundraising you’ll raise from your wear it pink event. We recommend you chat with your boss about your fundraising plans well before the day to see if matched funding is something that your company can provide. It may be useful to plan what you’re going to say; this is the perfect opportunity to explain why you are choosing to take part in wear it pink and why you think it’s important to support breast cancer research. Then you simply have to ask them if they would be happy to match your fundraising total or part of it. 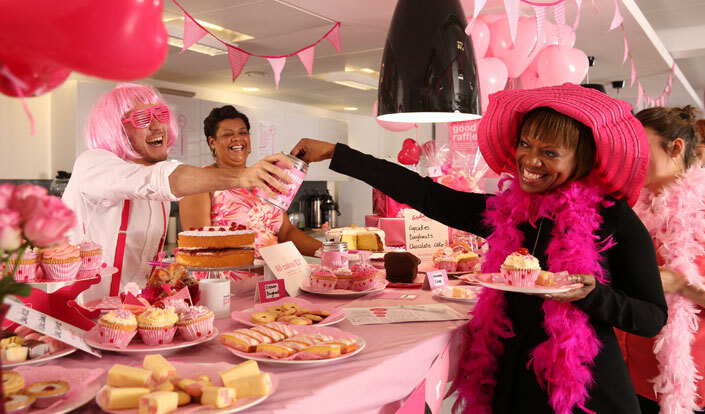 Once you’ve got the go ahead from your boss or manager, you can carry on as normal organising your fabulous wear it pink fundraising day. Keep in mind that your company might already have a policy for matched funding, so make sure you ask. Not all companies will be able to support you pound-for-pound or penny-for-penny, but they might be able to help by matching you up to a certain amount or matching 50% of what you fundraise. Any help is always appreciated, and every donation matters. When your wear it pink day is over, it’s time to collect and pay in your donation. Your manager might need some proof of your donation to us which we’re more than happy to provide for you – just email us at wearitpink@breastcancernow.org or call us on 0333 20 70 300. Depending on what you or your boss prefers, you can either pay in the lump sum or pay it in two instalments. Then we’ll send you out a certificate with the combined total of your fundraising for wear it pink 2017! Want to find out more about paying in your fundraising? Visit our pay in fundraising section for all the information you need to pay in by card, cash or cheque.